The beautiful, petal-like shells of galaxy PGC 6240 are captured here in intricate detail by the NASA/ESA Hubble Space Telescope, set against a sky full of distant background galaxies. 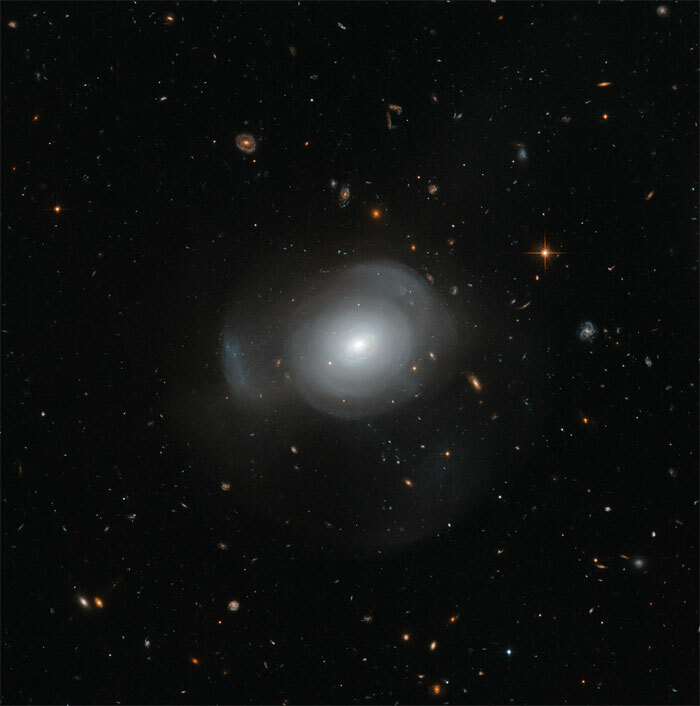 PGC 6240 is an elliptical galaxy approximately 350 000 000 light years away in the southern constellation of Hydrus (The Water Snake). It is orbited by a number of globular clusters that contain both young and old stars — thought to be a result of a galactic merger in the recent past. 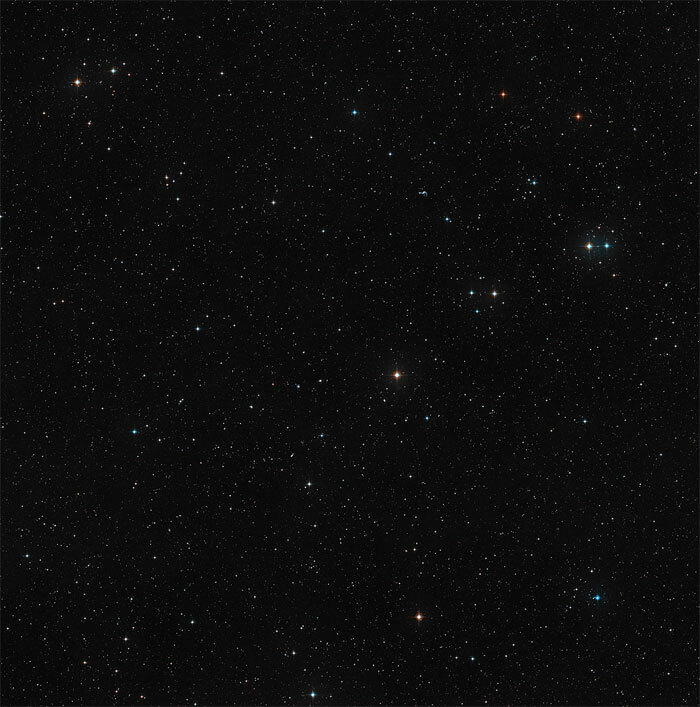 Wide field image of PGC 6240 (ground-based image).This image from the Digitized Sky Survey (DSS) shows elliptical galaxy PGC 6240 and its surroundings.